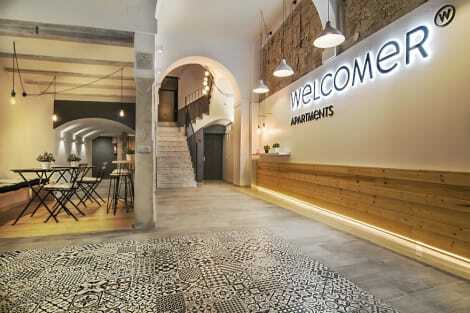 Occupying a historic building that boasts an impressive façade, the elegant 3-star HolaHotel del Carmen enjoys a perfect location in Valencia?s charming Old Town quarter. After an exciting day exploring Valencia, unwind in HolaHotel del Carmen?s jacuzzi and sauna facilities or savour a gourmet meal in the neighbouring restaurant before finishing off the night with a cocktail at the lounge bar. Restaurant on site.This boutique hotel is ideally situated within walking distance of the Miguelete belfry, the city?s landmark cathedral, its central market square and the financial district. With a stay at Down Town 13, you'll be centrally located in Valencia, just a 5-minute walk from Central Market and 9 minutes by foot from Plaza de la Reina. This apartment is 0.4 mi (0.7 km) from Plaza de la Virgen and 0.4 mi (0.7 km) from Valencia Cathedral. At MYR Plaza Mercado & SPA, enjoy a satisfying meal at the restaurant. Buffet breakfasts are available daily from 7 AM to 10:30 AM for a fee.